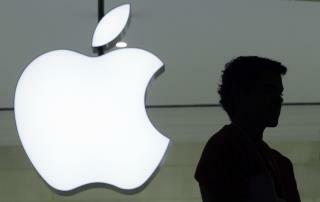 (Newser) – Apple got some bad news out of Europe on Tuesday in the form of a massive tax bill. The European Union says Ireland has given illegal tax benefits worth up to $14.5 billion to the company and must now recover the money, plus interest. The penalty is unprecedented—Reuters reports that it's 40 times bigger than any other such fine levied by the European Commission. "Member states cannot give tax benefits to selected companies—this is illegal under EU state aid rules," said EU Competition Commissioner Margrethe Vestager, per the AP. This is great ....and the first really good attack on tax havens. The US should be shutting these havens down ...I blame both sides for this ... but the EU has taken a clever new option ....make the corporations pay their tax evasion monies to the countries they are hiding it in. This makes the corporations pay and punishes the US for doing nothing on the issue by giving away their tax money to another country. Well done EU. any wonder countries want out of the EU.